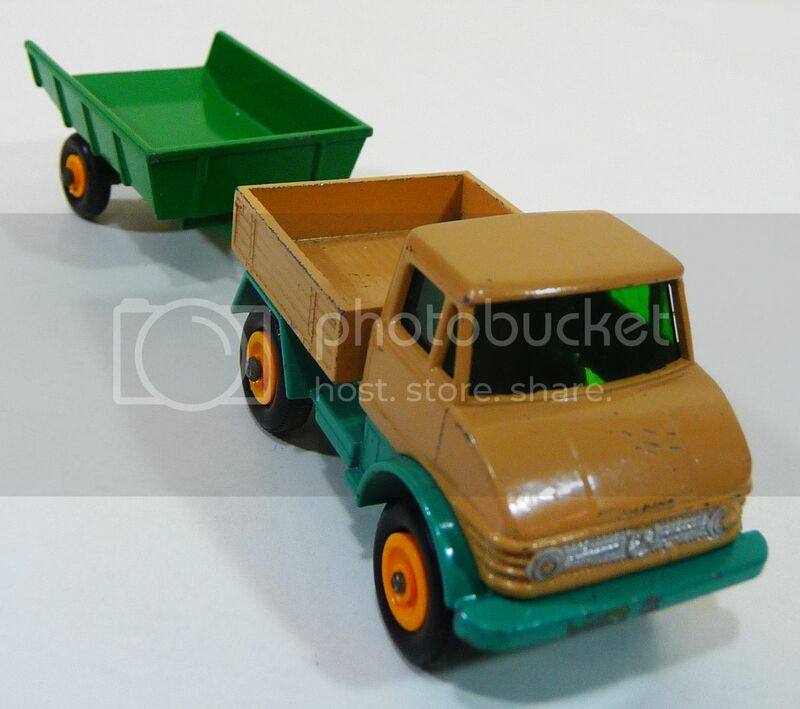 Offered here is a Matchbox UNIMOG No. 49 from 1967 along with a SMALL JOHN DEERE TRAILER No. 51 from 1964 (no barrels). Made in England by Lesney, these 2 loose pieces are in really nice shape with some minimal paint chipping, and nice, bright color. As is typical, some of the tires can slip on and off easily, but all pieces are complete. Although not originally issued as a pair, these two pieces work very well together, especially at this bargain price! Loose – no barrels and no box. 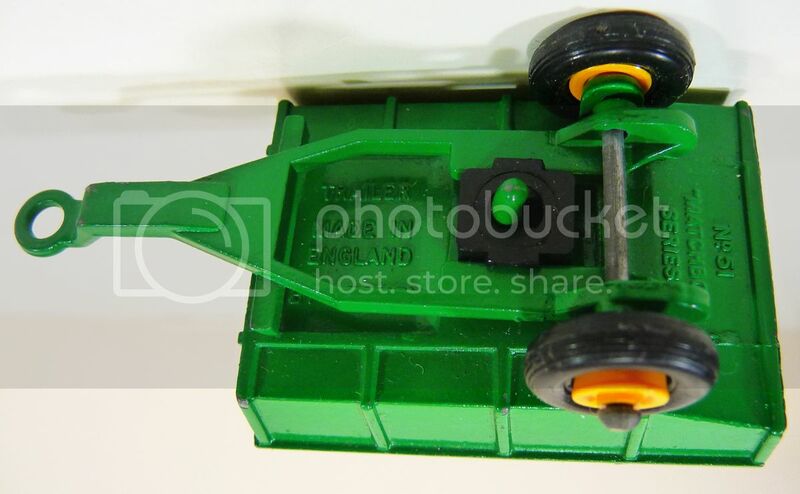 Categories: TOYS, VEHICLES. 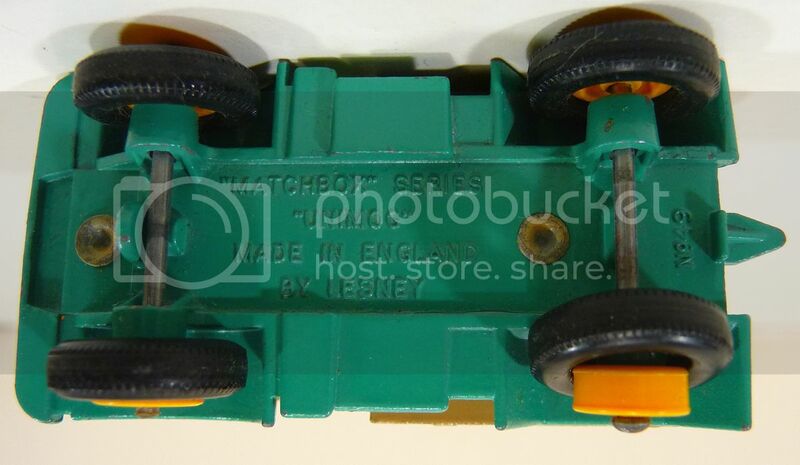 Tags: collectibles, Lesney, Matchbox, No 49, trailer, trailer No 51, Unimog, Pop Culture, toy cars, vintage toy cars. 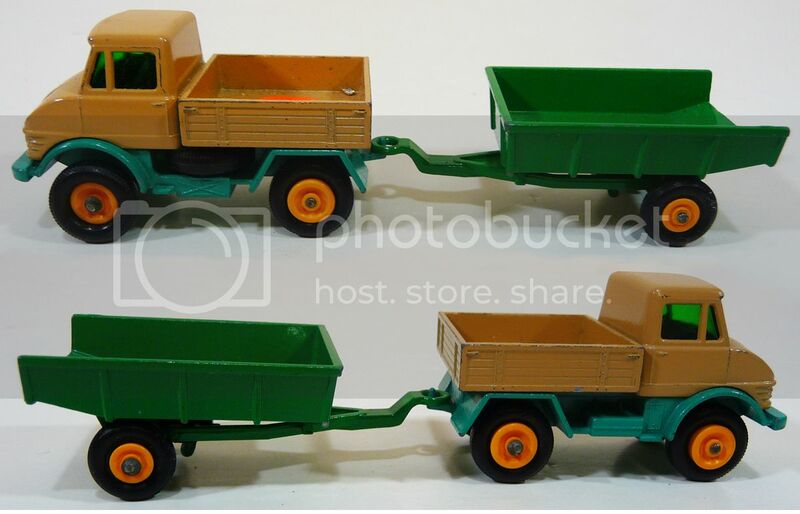 Be the first to review “Matchbox UNIMOG No 49 and JOHN DEERE TRAILER No 51 (1967)” Click here to cancel reply.